The program of this very welcome new disc spotlights the earliest solo repertoire for the violoncello, dating from the mid-1600s to the first half of the 18th century in Italy, showcasing music by Colombi, Vitali, Galli, Ruvo, Domenico Gabrielli, Dall’Abaco and Supriani. Not household names to be sure, but they all wrote some great music for the cello — and in Elinor Frey, they have an advocate of the first order. As one might expect from a recording of early Baroque music, many shorter pieces are featured here: ricercars, toccatas, capriccios, short sonatas and a few pieces on dance basses. Most are unaccompanied, with a few accompanied in tasteful fashion by theorbo or guitar by Esteban La Rotta, or by the continuo team of La Rotta and cellist Susie Napper. 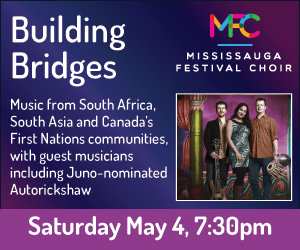 The variety of this well-paced program makes for intriguing listening, as does the use of various historical tunings and pitches — what a palette of colours! Vitali’s lovely Bergamasca and Passa galli, Giulio de Ruvo’s diminutive Romanelle and Tarantelli, Dall’Abaco’s sonatas and Colombi’s Ciaccona were my personal favourites the first time around, but as I revisit this CD I’m sure that every piece will get its turn in the limelight. What a pleasure. Frey’s playing is adroit, expressive and engaging; and she also appears to have the happy ability to marry her own voice to those of the composers, rather than getting in their way.